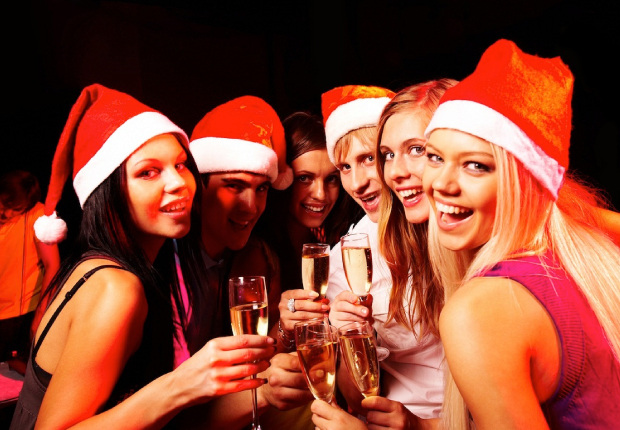 You’re probably thinking about three things this time of year – parties, parties, and more parties! With a packed calendar and events galore, aren’t you a little concerned that the festivities will go straight to your mid-section? Perhaps you’re wondering if there’s a way this can all be avoided. The answer is yes. Absolutely! All it takes is a little bit of planning, strategizing, and will power. Now I’m not saying that you shouldn’t party like a rock star. After all, that’s what you should be doing this time of year. There are certainly enough parties to choose from. Even though the holiday season is about celebrating, if you’ve worked hard all year making healthy changes to your diet and lifestyle, the last thing you want is to feel like you’re six months pregnant. I’ve got some advice for you so that you don’t wake up the morning after a party feeling uncomfortable, regretful, and frustrated. 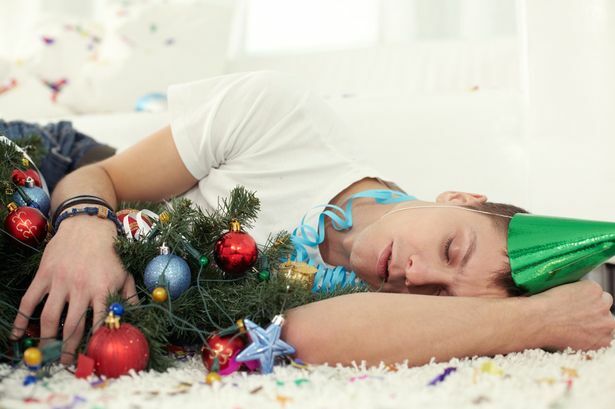 Here’s what I suggest you do if you want to enjoy the holiday parties without gaining a pound! 1. Firstly, try to put as many vegetable-based dishes on your plate before you get tempted with the bad stuff. Choose delicious cranberry walnut salads that are sprinkled with feta or other healthy salads. Load up on fresh veggie sticks and skip the unhealthy, fattening creamy dips. There’s usually mouth-watering guacamole or Mediterranean hummus that goes great with raw veggies. 2. I know it can be hard, but try your best to skip dessert. Why not enjoy a delicious fruit salad or a few pieces of enzyme-rich pineapple that aids digestion? Perhaps you’re the type of person who’s satisfied with one bite of dessert, and if you are, then go ahead. A little bit isn’t so bad. I’m still aspiring to be that person who just needs a small taste, so if you’re like me, it’s better to have a some red wine or a square of dark chocolate. Nobody said you can’t bring your own chocolate to a party. You’ll get a boost of antioxidants without all the heavy sugars that can leave you feeling gassy and wanting to curl up in a blanket instead of socializing. 3. Don’t eat everything in sight. Choose carefully and try not to combine too many different foods. I suggest you keep it simple. Stay away from the bad stuff, which includes processed meats, simple sugars (white breads, mystery casseroles, and desserts camouflaged as side dishes), and sodium-laden foods. If you manage to resist dessert but end up eating the worst the table has to offer, you won’t be doing your body any good. Instead, look for foods you can easily identify like lean meats, grilled fish, steamed vegetables, or ancient grains like quinoa. 4. Drink a lot. No, I do not mean loads of cocktails. You might make (or lose) a few memories you didn’t intend on at the party, not to mention loading your body up with toxins. Instead, drink plenty of purified water with fresh squeezed lemon. This will help flush toxins from your system. It also serves as a wonderful remedy for water retention and bloating. Your body tends to hold onto water when it’s dehydrated. If you drink too much caffeine, eat salty foods, or consume too much alcohol, you’ll likely retain water and experience bloating since these are all dehydrating. 5. Any opportunity you have, get up and dance! Don’t be the person chatting and drinking at the bar all night. Get your body moving, sweat out the alcohol, and burn some calories. Even if you’re a social butterfly, you can navigate the holiday season successfully with the right plan. It doesn’t matter how many parties you have committed to attend. Whether you’ve got two or ten on your calendar, these tips will help you stay healthy and happy throughout the holidays. Just remember, you need to have a plan so that you don’t fall off the proverbial wagon so hard it feels like climbing Mount Everest in January.